I am clearing the refrigerator as I count down to SG50 next week. Super excited about my trip home! 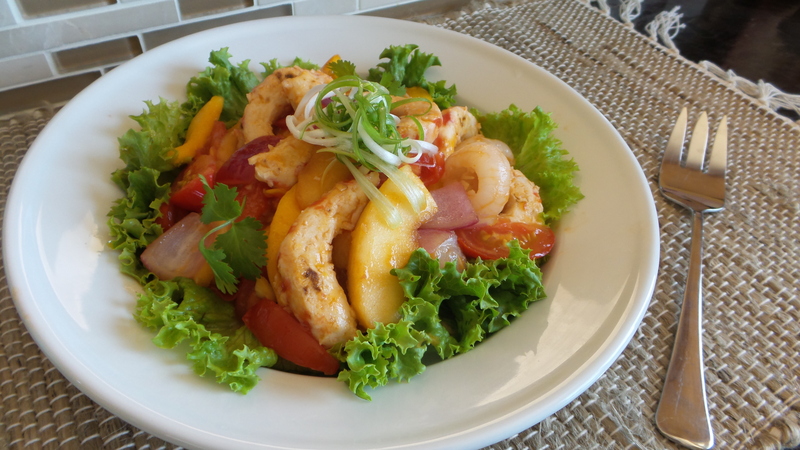 A combo of fruits with some sweet and sour sauce for a cheery tutti fruitti shrimp dish feels like a great idea. Here’s two look-alike, the real deal and the mock deal. Which would you pick? Stir ingredients for the sweet and sour sauce in a bowl and set aside. Heat canola oil in wok over medium high heat. Stir fry shrimps until almost cooked. Remove from wok and set aside. 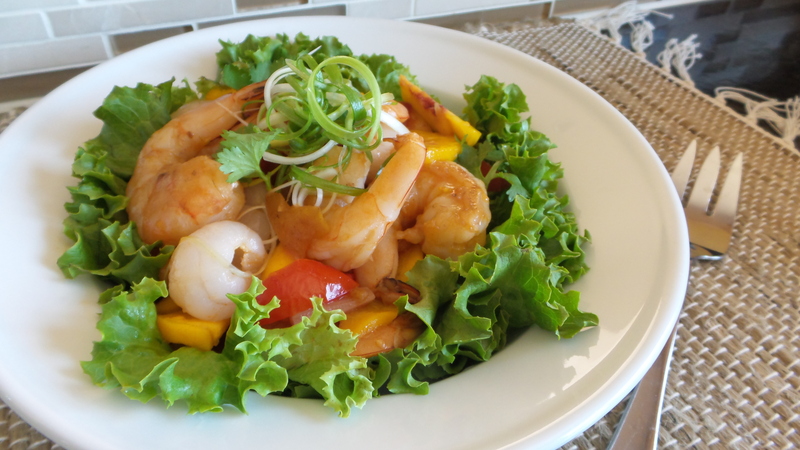 If using mock shrimps, pan fry the ‘shrimps’ until lightly brown on both sides. Brown minced garlic in wok and toss in red onions over high heat until it the onions are soft. 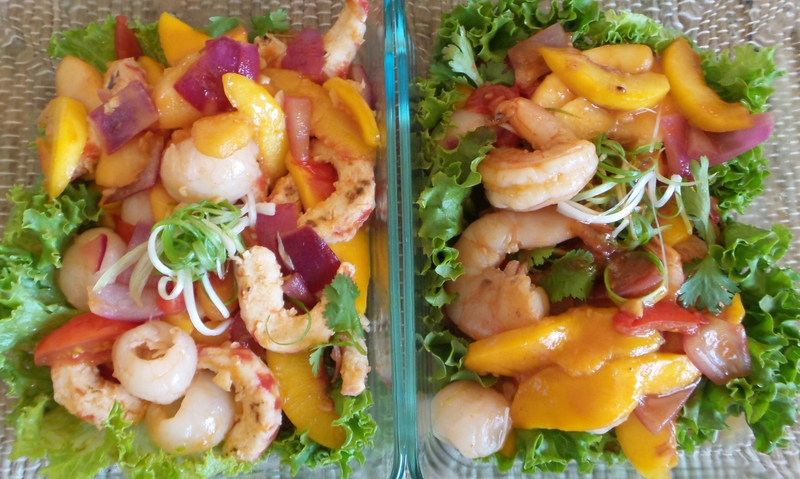 Add the fruits and shrimps. Stir fry over high heat for a minute. Add the sweet and sour sauce. Bring to a boil quickly and transfer to serving dish lined with curly lettuce. Garnish with spring onions and cilantro.